Now is the time to get ready for attractions for the fall season. 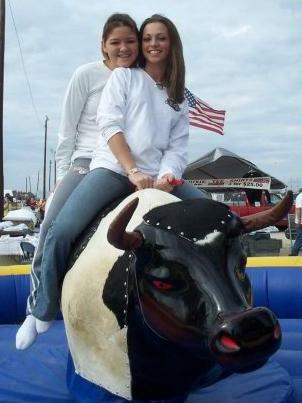 A Mechanical Bull is a great addition and becoming more popular. 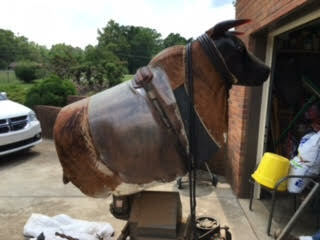 It is not really about riding a bull like in the rodeo anymore, if you watch the videos you will see it is about the fun. 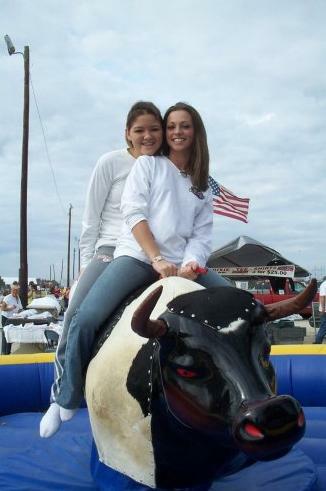 Most mechanical bull operators do not run it as if you are in a rodeo they run it to make the rider and the crowd have fun. You will see everything from little kids having fun to dunk girls in shot skirts getting on the bull to show off. Safety is really not a problem anymore either. The soft air mattress floor and soft bull heads make the riding bulls of today very safe. So if you are looking for a reliable american made Mechanical bull at a really cheap price – only $12,500 give us a call toll free at 877-484-9621 or visit us at Pursuit Zone and we will answer all your questions about our mechanical bull for sale. Since this bull is manufactures and supported in the US warranty and customer support is even better. Have you have trouble with the customer support from your company? It is very important to us that your bull is up and running all the time. We take customer support very seriously and will do everything we can to keep you running. Don’t wait to long to order your Bull because the fall season will be starting soon and you will want to be ready when it arrives. From the time you order your bull it will take a several weeks to arrive. So do not put this off – Order yours today!